Every year our administrative team presents an annual programmatic audit to the Ventura County Board of Directors who authorize our charter. At this audit, we present data on student achievement, our progress toward meeting our annual goals, and data on our school climate and culture. Consider joining us tonight in support of our school and to learn more about our process of program accountability! 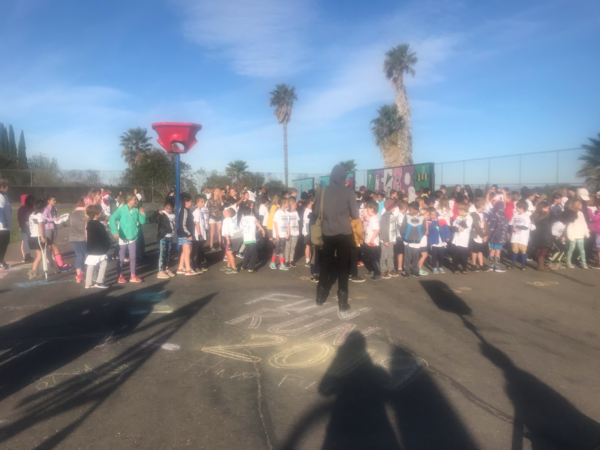 Last week we were able to send four teachers, two administrators, and our board president to the annual California Charter School conference held in Sacramento. Everyone who attended the conference left with inspiring ideas, and we are excited to bring them back to our whole community to benefit our families! It was also a wonderful opportunity to connect with legislatures and other charter leaders to discuss the importance of Charter schools as public school options for families in Ventura County. Ms. Nicole, our middle school history and social studies teacher, coordinates a Women in History project every year. This year, 11 of her students will be presenting their projects in two mini-assemblies to be held on April 8th at 10:10 or 10:45. ALL Students will be released at 12:20 on Wednesday for additional staff development. Please do not park in the drop-off area between 12-12:40pm. If you need after school child care, please contact Extensions today or tomorrow! Our teachers will be discussing and providing feedback on certain areas of our Charter Renewal and engaging in professional development around alternative student assessments. 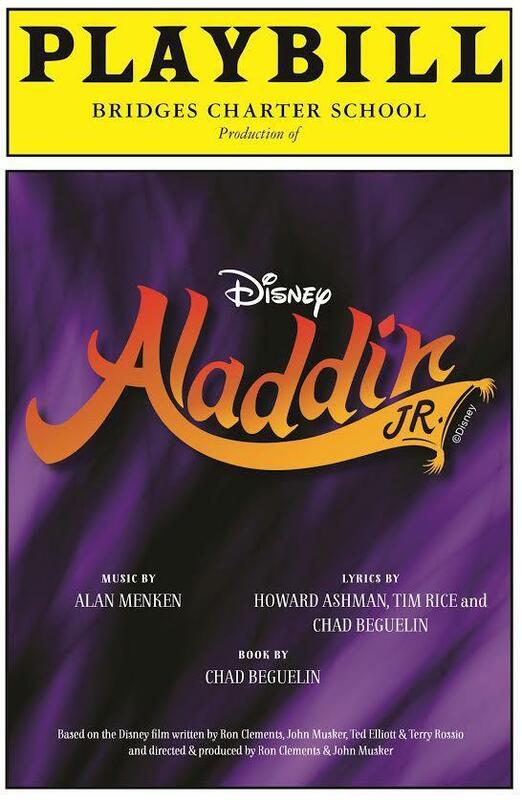 Tickets On Sale Now for the Spring Musical - Disney's "Aladdin, Jr"
The Performing Arts PMC is proud to present this year's Musical - Aladdin, Jr - directed by our own parent and Musical Theatre teacher, Ms. Noreen Smith. Seating is reserved and sold online. The cost is $10 for Premium Seating and $5 for General Seating. All remaining tickets will be sold at the door each night. Light Refreshments and Souvenirs will be sold at the show. We hope you can join us and our talented students! To buy your reserved seat, CLICK HERE! 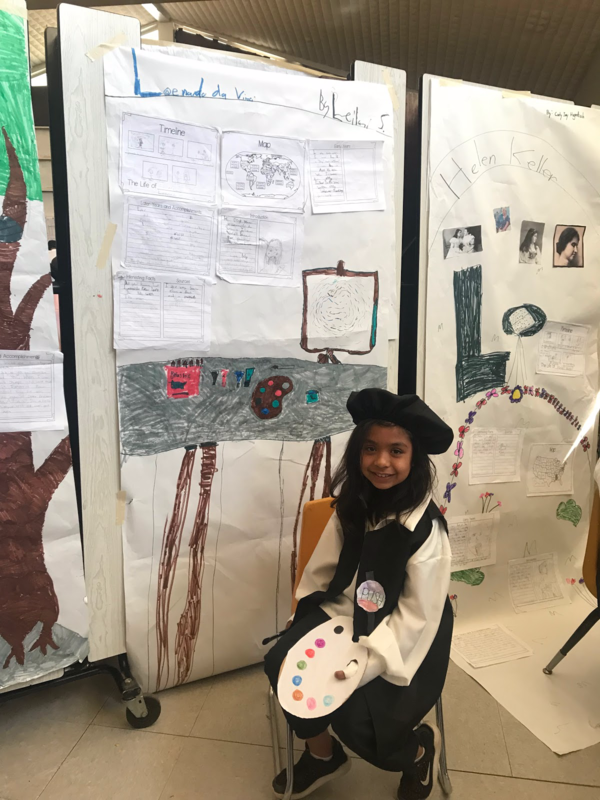 Leonardo da Vinci in our 3rd Grade Wax Museum! 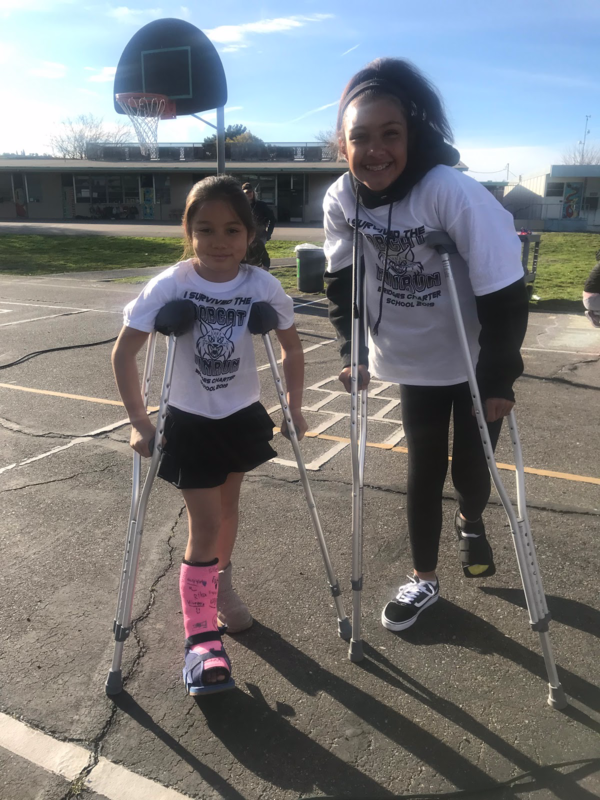 A couple of our Fun Run Cheerleaders!